Have you ever seen a working farm? In today’s society, many people would answer no to that question. If you are one of them, then come and visit us over at Mills Family Farm in Mooresville, North Carolina, and we’ll show you around! We offer farm tours to groups both big and small by appointment. Your kids will love seeing the farm animals in their natural environment, and you will enjoy the increased connection to the land and the source of your food that so many of us are missing today. If you’re interested in learning more about local organic food and the humane treatment of animals, then there is no better source than one of our farm seminars given by our own Dr. Bradley Mills. Dr. Mills is a Doctor of Veterinary Medicine, specializing in food animal welfare with a focus on cattle. He serves as a veterinary consultant at cattle farms throughout the Southeast U.S. As an advocate for education on animal health industries, he works to ensure the safety of the food supply and also the protection of the environment. 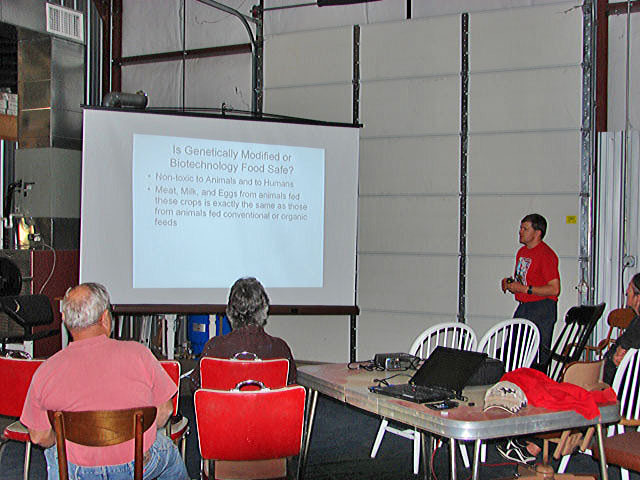 Dr. Mills offers farm seminars on a variety of topics, including the difference between organic and conventionally produced food products, the pros of organic produce and how to save money on your grocery bill, the slaughter house process and the animal rights movement, and the safety of our food supply. 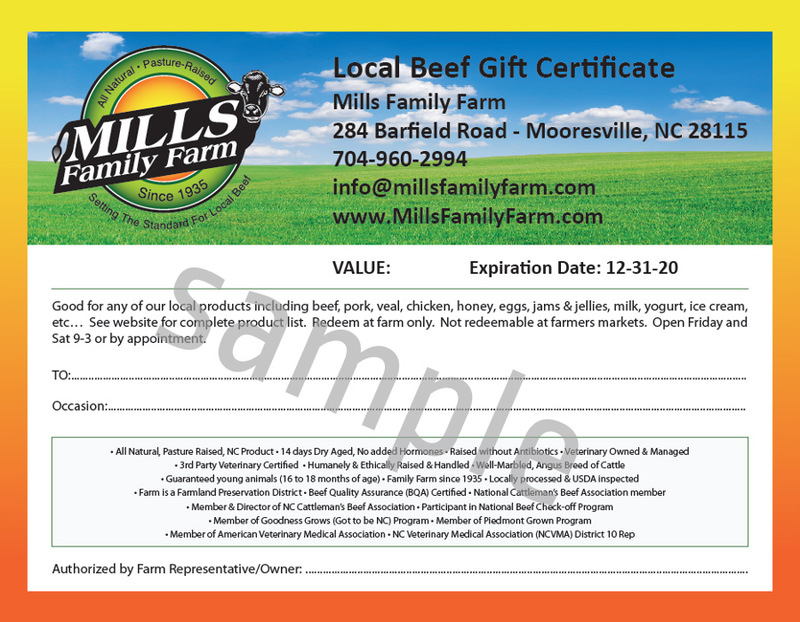 So come hear from an expert in the field at Mills Family Farm– contact Nicole Mills at 704-960-2994 or info@millsfamilyfarm.com for more information or to schedule an appointment.